Still on Glo free browsing cheat 2018, the latest of which is this moded browser from UCmini source code by nairabit. 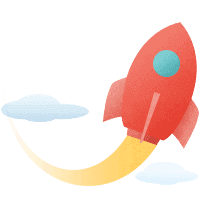 This moded browser has inbuilt super speed download you get on the normal UCmini browser, so this is considered "the fastest browser" for all of your downloads needs. It doesn't just download but browse as well, this browser has been configured to bypass Glo speed throttle limit that you experience on VPN cheat apps like Psiphon, anonytun and others. Credits also goes to ISRAELORD and deProf of Nairabit WhatsApp group for their contributions to N-Mini Browser for latest glo free browsing cheat. • Fastest Download Speed - speed reaching up to 200kb/s (low, for areas with not very good glo Network Strength) to over 1mb/s where glo Network strength is considerably good. • N-Mini is a light weight application, takes up little space on your device. • You don't need any vpn cheat app to access free internet. • It's absolutely free of charge, Nairabit does not charge a dime for its moded apps, so no one should sell it. It should be given free to anyone looking for glo free internet for free browsing and unlimited download on Glo Network. • Download N-Mini Browser - download link k at the end (bottom) of this article. • Install, open Mini and start browsing and download. Enjoy! Hope this helped. Leave a comment below about N-Mini Browser, did this Glo cheat work for you? You are welcome, enjoy glo cheat on N-Mini (moded UCmini) while it lasts. Please my boss, is it only for download? Can it tunnel the whole device so that other apps like Facebook and Whatsapp should work too?